We’d love your help. Let us know what’s wrong with this preview of Face by Cecile Pineda. When a Brazilian man's face is disfigured, he attempts a grisly self-surgery in this novel of survival. To ask other readers questions about Face, please sign up. There it is, in all its modernist-symbolist clarity -- a story of visages, masks, and identity in bare and gleaming terms. The story streamlines into more linear, less conceptual space as it goes, unfortunately, but the final episodes dealing with reconstruction of the self/face/identity are tethered in a cold brutal physicality that makes them highly memorable. 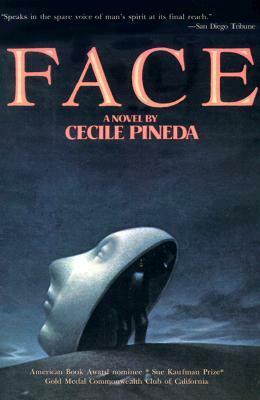 My Classic Read for March 2019 is Cecile Pineda's Face, a book about identity. First published in 1985, Cecile Pineda's slim and stunning novel Face was highly acclaimed and has a longevity that places it as a modern classic, an American Academy of Arts and Letters prize winner, and a finalist for the prestigious Neustadt Prize in 2013. Nobel Laureate J. M. Coetzee has called it one of the most haunting books he's ever read. Based on the true story of a man who was disfigured in an accident, we f My Classic Read for March 2019 is Cecile Pineda's Face, a book about identity. First published in 1985, Cecile Pineda's slim and stunning novel Face was highly acclaimed and has a longevity that places it as a modern classic, an American Academy of Arts and Letters prize winner, and a finalist for the prestigious Neustadt Prize in 2013. Nobel Laureate J. M. Coetzee has called it one of the most haunting books he's ever read. Based on the true story of a man who was disfigured in an accident, we follow the fictional life of Helio Cara (a name that ironically could be taken to mean "sun or day love") a man living in a favela in Rio de Janeiro. Helio rushes, or tries to, to his dying mother's bedside but falls off a hillside (a metaphorical cliff). Surviving his accident, he is rendered faceless in that he is so disfigured that everyone rejects him and his identity, home, livelihood and all his friends, are lost to him. His situation is so dire he cannot go out and cannot bear to be seen. The light of day brings only sorrow, cruelty and rejection. Over time, Helio rebuilds himself, literally rebuilding his face, with needle and thread, and novocaine for pain. Face remains a landmark in Latin American fiction, with Pineda being one of the first US-based Latina writers to land a contract with a major US publishing house. It is also a stunning novel about what makes us who we are, about how others see us, and how we see ourselves. What defines us? Is it what we do, the choices we make, or the face we show the world? A fascinating novel, as fresh today as it was more than thirty years ago, I cannot recommend this jewel of Hispanic literature highly enough. The style of Pineda's novel echoes Camus', with its existential appropriation of Hemingway's sparse, action-and-surface oriented sentences. Like Camus' Meursault, Pineda's protagonist is alienated from the start from his surroundings, in this case a Brazilian shanty town. When he severely disfigures his face in a fall, his alienation becomes complete. He loses his job as a barber and is forced to scavenge in the night for food. We see him navigate a tortuous health bureaucracy and suffer anonymo The style of Pineda's novel echoes Camus', with its existential appropriation of Hemingway's sparse, action-and-surface oriented sentences. Like Camus' Meursault, Pineda's protagonist is alienated from the start from his surroundings, in this case a Brazilian shanty town. When he severely disfigures his face in a fall, his alienation becomes complete. He loses his job as a barber and is forced to scavenge in the night for food. We see him navigate a tortuous health bureaucracy and suffer anonymous attacks by people in his community. In the second half, we see him return to his mother's home, where he begins the painful and methodical process of self-surgery to reconstruct a face. The novel excels in its opening pages, as the trauma of the fall is represented by a plotting that disorients in its shuttling from the past, future to a tenuous present. The chronology later settles itself but is later ruptured as he makes his way to his mother's home. Memories of his dead father and mother surface suddenly and in faint glimpses as the novel progresses, but I wish these fragmented memories added to something more substantial, even at the level of suggestion. It felt like the ending buried much of the potential in these fragments. 'Face' is an extraordinary and haunting story on the nature of identity and social norms. 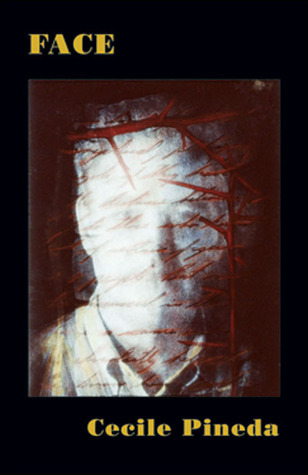 Based on a true account, Pineda's work functions as an incredible social commentary on identity politics and societal relations with the labeling of bodies. Go read this. It will traumatize you, but you'll be the better for it. This book has stared at me for years on my shelf calling me to read it. I don’t recall where I got it but I remember that the cover grabbed my attention. Not knowing what the story was about, I started reading this complicated but hauntingly story of a man who lost his face. The story was told poetically but confusing at the same time. Though this was a narrative, the story developed as if it were a prose. The story of Helio Cara unfolded as Helio ran out to seek his dying mother but instead fell This book has stared at me for years on my shelf calling me to read it. I don’t recall where I got it but I remember that the cover grabbed my attention. Not knowing what the story was about, I started reading this complicated but hauntingly story of a man who lost his face. The story was told poetically but confusing at the same time. Though this was a narrative, the story developed as if it were a prose. The story of Helio Cara unfolded as Helio ran out to seek his dying mother but instead fell down a cliff where his face got destroyed, changing his life permanently. These events were described as if it were a bad dream; because of this, many of the chapters sounded complicated and I was not able to fully comprehend what was going on or who the characters were the first half of the book. Consequently, I found myself withdrawing from the book a few times. Helio’s character was a tragic one. One can’t help but feel sympathy towards him. I cannot begin to imagine having Helio’s fate. Everyone he knew turned his or her back on him. He became an outcast and an excuse for people to treat him bad. I was appalled on some of the mentality that people had about him, especially those in the clinical field. Unfortunately, Helio had little choice but try to fix himself when he could not find any help. Helio's character really grabbed my attention and was the reason why I kept reading this book. I really wanted to know how everything was going to unfold for him. An intriguing story told with in the voice of a man who has been disfigured in a landslide accident near his home in (I'm guessing) Rio or Sao Paulo. He is tormented by his poverty, government bureaucracy, and his loss of intimate love. An existential dilemma. Pineda formed an theater company in San Francisco in the '70s and her prose has an unmistakable likeness to stage direction. "There is a bed in the corner of the room. There is a run-down table with a missing leg propped against the wall. A An intriguing story told with in the voice of a man who has been disfigured in a landslide accident near his home in (I'm guessing) Rio or Sao Paulo. He is tormented by his poverty, government bureaucracy, and his loss of intimate love. An existential dilemma. Pineda formed an theater company in San Francisco in the '70s and her prose has an unmistakable likeness to stage direction. "There is a bed in the corner of the room. There is a run-down table with a missing leg propped against the wall. Above the table is a small window. The window is smudged with dirt and opaque." This cadence of language is arresting. Hypnotic. The face is the summation of human value. Nothing could illustrate this more than this painful, based on true events, novel. What an amazing, tragic, read.